Here at DaCast, we’re interested in offering a smooth and affordable live streaming experience to all of our users. 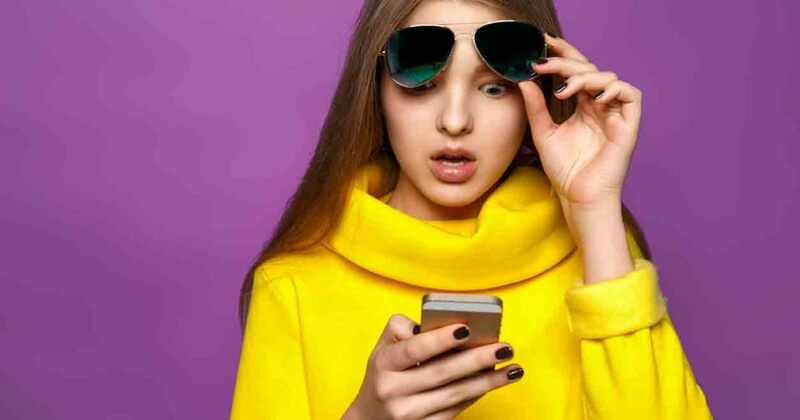 Our service is built upon a friendly and easy-to-use platform with lots of integrated features and almost instant provisioning of live channels from anywhere in the world. To go further in lowering the barrier to live streaming, we have been working on a free software encoding solution that is easier and more reliable than Adobe®’s Flash® Media Live Encoder, the most commonly used free encoder. 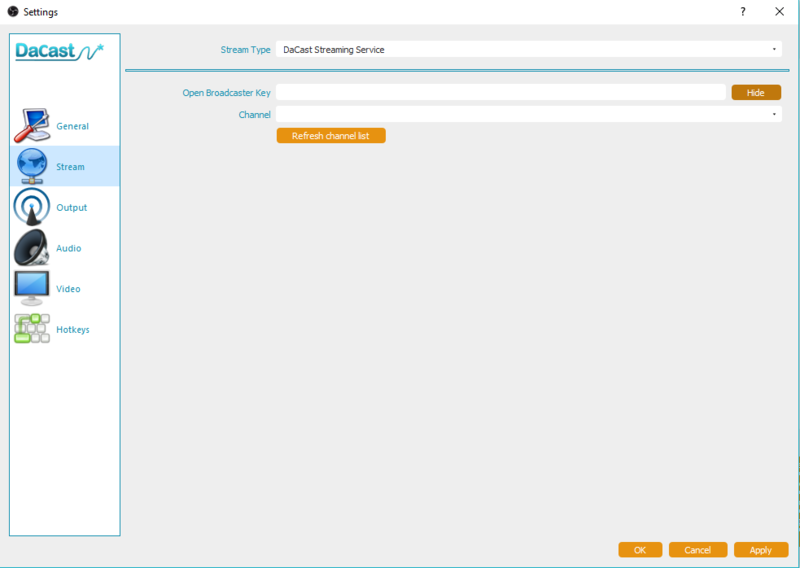 We are pleased to announce our customized version of OBS Studio that simplifies setup and use for streaming with DaCast. It offers new broadcasters a reliable way to use a simple free streaming software encoder while they are getting started before moving to the next level and using a more powerful encoding solution. 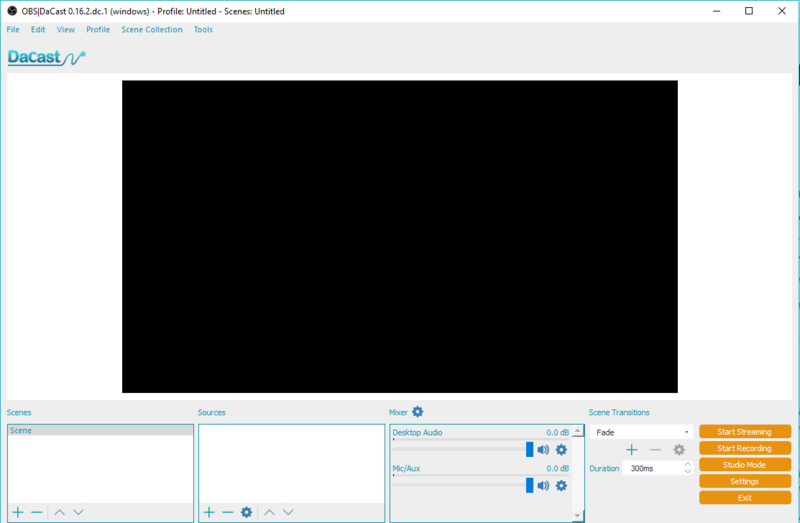 OBS Studio, or Open Broadcaster Software, is a free and open-source software for live streaming and recording. OBS Studio for DaCast is a customized version of the original software that is integrated using our API to make streaming with DaCast super easy for everyone. No more need to copy and paste links or to enter logins and passwords everytime you start a stream like you have to do with FMLE. Just copy and paste a code once from your DaCast account and you will be able to get the list of all of your DaCast live channels and have the one you want to stream on automatically setup in OBS Studio when you select it. Log in to your DaCast account to get the API key that you’ll copy and paste in OBS Studio for DaCast. Paste it in the “Open Broadcaster Key” field shown below, click on the Refresh Channel list button and you will get the list of your live channels. From there, you can just select the DaCast live channel you want to stream at and start streaming! Please note that the Windows version of OBS Studio supports Windows 7, 8, 8.1, 10 and does not support Windows Vista. The Mac version of OBS Studio supports OS X 10.8.5 and newer. For a step-by-step guide with more details, follow this link. Enjoy our special offer: get double bandwidth for your first month when you purchase an annual plan!